Mac Product Key Finder is a wonderful Mac app developed by ONE UP LTD, a company which is based out of Cyprus. It is available as both freeware and as a premium offering. 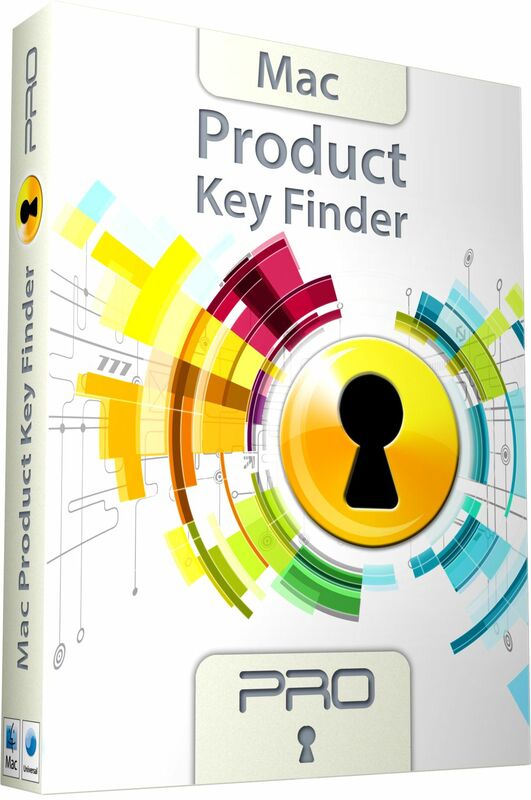 Building on the success of their previous effort, a product key finder for Windows calledRecover Keys, Mac Product Key Finder is a tool that allows users to recover lost product keys (or making backup before it is too late) for software installed on your Mac. 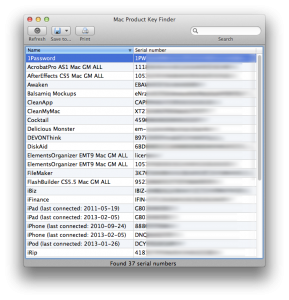 This small tool will scan your Mac for installed applications and show your product keys/serial numbers. It’s worth upgrading to the premium version because of the additional features that you get. These include the ability to scan TimeMachine backups or other Mac computers on your network. For about $25, you get a really robust and useful tool! You can save the resulting product key list as one of a variety of file types. These include HTML, XML, CSV, PDF and text files. Alternatively, you can choose to print it out. Currently, list of supported software is not very big, but it includes popular software such as Microsoft Office 2008, Adobe Photoshop CS3-CS5, Parallel’s Desktop, Panic applications, VMWare Fusion and many more. However, popular software such as Microsoft Office 2008, Adobe Photoshop CS3-CS5, Parallel’s Desktop, Panic applications, and VMWare Fusion are all supported. 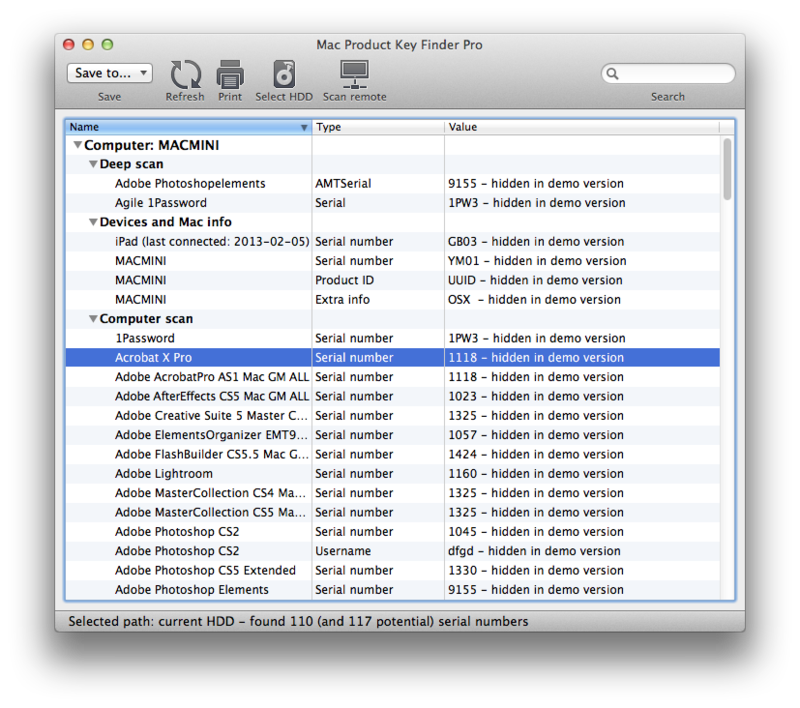 The developers note that Apperture, Final Cut, Microsoft Office 2011, Logic Studio and Roxio Toast Titanium are NOT supported by Free or Pro versions of Mac Product Key Finder. These keys are encrypted. Overall, this is a really wonderful tool. If you’re ever lost a Mac product key be sure to try out this app! More information can be found on the app’s website, here. 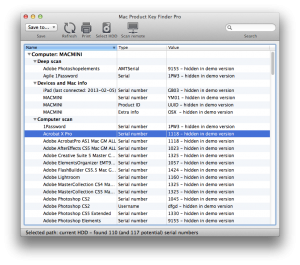 Mac Product Key Finderis a tool for Mac users. The freeware version will work on Mac OS X 10.5 Leopard or later, Intel or PowerPC. The Professional version can even run on Mac OS X 10.4 Tiger or later, Intel or PowerPC. Both versions do not use or require internet connection.